apply for Australian visas for over 17 years. Our professional specialists are highly experienced in the migration environment. Established in 2000 by Ian Singer, MARA 0001947, AustraliaMigrate’s dedicated team keeps up-to-date with the latest regulations, policy changes, opportunities and trends,and analyses each and every individual’s visa circumstances. In doing so, the team ensures that all details and issues have been addressed prior to lodgment of an application, and that the application is presented in the best possible light for success. Our combination of knowledge, experience and attention to detail means that our clients could not be in better hands. Once you become aclient of ours, our unwavering commitment transcends a contractual agreement as we take great pride in our work to help our clients have successful applications. It’s our passion to ensure that we get positive outcomes for all our clients. 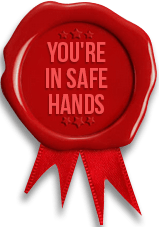 We provide accessible, accurate and genuine advice to our clients, as well as being a highly ethical agency, with a fair fee structure. 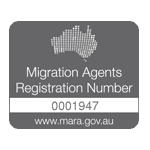 This has helped us to become a highly reputable leading migration agency with loyal clients, consisting of both individuals and corporate both Australian and international with a strong referral base. • Provide the most up-to-date visa progress to clients. We have a very high success rate of visa approval and a solid reputation resulting in a large amount of repeat business. We provide immigration services to individuals, families and companies, whether they are small or public companies and in any industry. Immigration is the only thing we do so we are highly specialized in it. What type of visa are you looking for? Talk to us today. We'd love to hear from you.